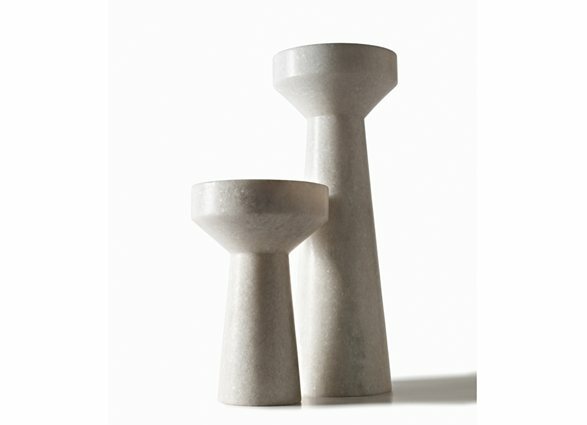 I was looking through Tom Dixon‘s website when I saw his Stone Candle holders. These candles would work well with a traditional decor or a modern one. I think it’s because of the material, marble. The lines are very minimal but the marble gives the holders warmth. They are fantastic. Stylish and simple. I love marble and managed to find a coral-coloured double kitchen sink of local Veronese marble when I renovated. Now I really don’t mind doing the dishes! Your sink sounds amazing. I wouldn’t mind doing the dishes either!